Yes good gains even on 91. We'll post some 91 and 93 octane numbers when time permits. Many thanks sir, looking forward to seeing the numbers on pump gas. I'm still waiting for my car to come in but this is high on my list of things to waste money on when I get it. Hi Terry, My car already had the BEF. Could the jb4 work with the tune？I don't the see the custom map for this jb4. Yes, log map0 to start, email it in, and I can help you with the details. Terry I am using only 98+ octane pump gas here in EU, usually 99.5octane when they do the testing. Can I expect results like you posted in first picture? How about ethanol mixture? Since it's already flashed for starters just send us a JB4 log on map0 so we can see how the flash it setup, determine if there is more power to be had there for you, adjust the boost by gear, etc. @Terry @Payam @Jon @Christine - OMG OMG they arrived!!!! going to have fun this weekend installing it hopefully. Wow thats great. Keep us updated. 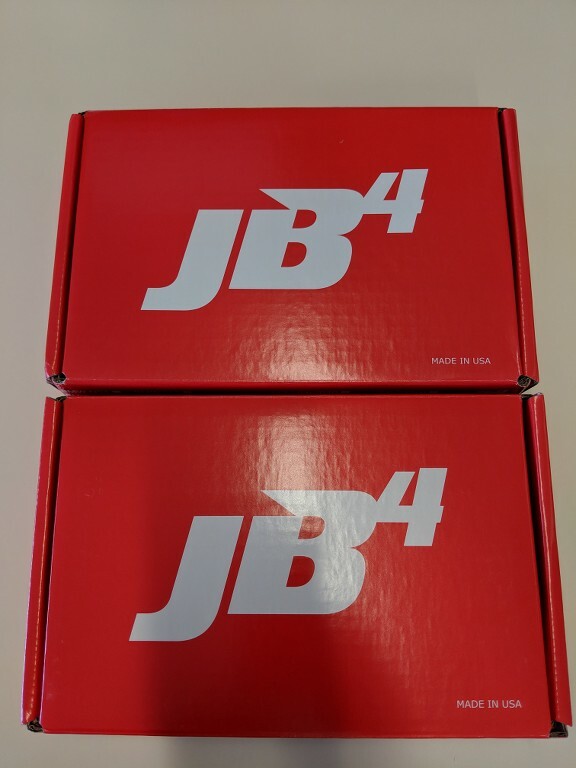 Have the JB4 installed, but having some issues. Car will drive relatively fine, but will shut start running rough, cuts power and will turn off at a stop. It's not really drive able at this point.. **note- this happens on the only maps I've tried (map 0, map 1, map 2 and map 3). Sounds like a possible OBDII cable issue. As a first step try unplugging OBDII all together to see what effect it has. Also, emailing in for tech support will be much faster than posting here and waiting for one of us to see the thread. As a reminder you should only be using map1 for now. And you can read codes via the JB4 app as well as record a log, to post to this thread, or email in. Keep the map1 JB4 logs rolling in! Found an issue with some of the C63 BETA systems shipped. There is a resistor on the JB4 control board that needs to be soldered over. If it's not, you may get a check engine light, mismatched bank to bank fuel trims when looking at JB4 logs, etc. Photo attached to identify the issue. There should be a wire soldered across the resistor as shown. 1) Leave the fuel pressure connections stock for now, leaving the rest of the JB4 plugs attached. Fortunately they are relatively easy to reach connections. 2) Email me @ terry@burgertuning.com and I can send you a replacement JB4 control board which attaches to the JB4 harness. 3) If you're handy with a soldering iron you can add the missing wire yourself. Here is a quick run I made on my C63s , im running a flash tune so the boost and timing you see are not for a stock car. If you can provide us with a longer log WOT in 2,3,4th gear that would be much appreciated , the log you provided is too short. Need to read 2 posts above yours and follow that. The unit has been uninstalled for some time as I’m waiting for my warranty replacement. Terry was great and he noticed the trim imbalance straight away and got me a replacement unit fedexed within a day , still waiting for it to clear customs unfortunately as nothing happens quickly in Africa ! My JB4 is up and running with the updated board. I only tested it a little bit with map 1. It feels fine, it’s hard to tell a difference since there’s no traction. Is it OK to test maps 2, 3 and 5 if I throw in a tank of 100 octane gas? Same here. All running fine for me now with the replacement board as of right now. Will start doing some logs. How long before we can start trying out the other maps? Have some Torco and race gas in the garage waiting to be used. Also, any ETA on the intake release? As a side note, Terry has provided excellent support so far and quickly sent out a replacement board. I noticed that my JB4 doesn’t detect what gear I’m in. Shouldn’t that be working for boost by gear? Send us a log to evaluate first in a lower map before going higher. Hello Terry I just received my JB4 today, I drive a Pure stage 1 AMG GTS with eurocharged tune and ********* with custom intakes and methanol kit and wisetec blow off valves. The car dynoed at 650 whp and 700 tq on Pump gas 93. Hopefully with the JB4 I can gain another 50+ whp. Any updates on BCM on when it will be available? Sounds good, let's get working on it. Email in a log on map0 to start! Enter the amount of boost to reduce per gear. For example, entering 3psi in 1st will reduce 1st gear by 3psi regardless of the performance map selected. We suggest values of 4psi in 1st gear, and 2psi in 2nd gear, to start. Last edited by spikiii; 01-19-2019 at 02:24 PM..